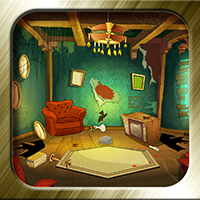 Description: 1305th--King's Castle - 4 is an intriguing and interesting point and click type new escape game developed by ENA games for free. Dream up a situation that you are in an ancient world. As a player, you are about to steal the magical sword through several levels by looking out for the clues and figure out the puzzles needed to find the necessary objects. In the previous level, you crossed the market place and reaching the tunnel at the end in search of the magical sword. Let us see, whether you find the sword or not. As you are a person of good problem solving nature, it is sure that you will succeed by finding the necessary objects and solving the puzzles. Have greater excitement and fun by playing escape games daily. Good Luck and Best wishes from escape games.